Almond oil is extracted from the popular healthy nut that we are all familiar with, the almond. Almond oil is widely known for its health and skincare benefits, and has been used for thousands of years in Ayurveda, an ancient Indian healing tradition. Almond oil is suitable for medium-high heat cooking, such as sautéing and browning. 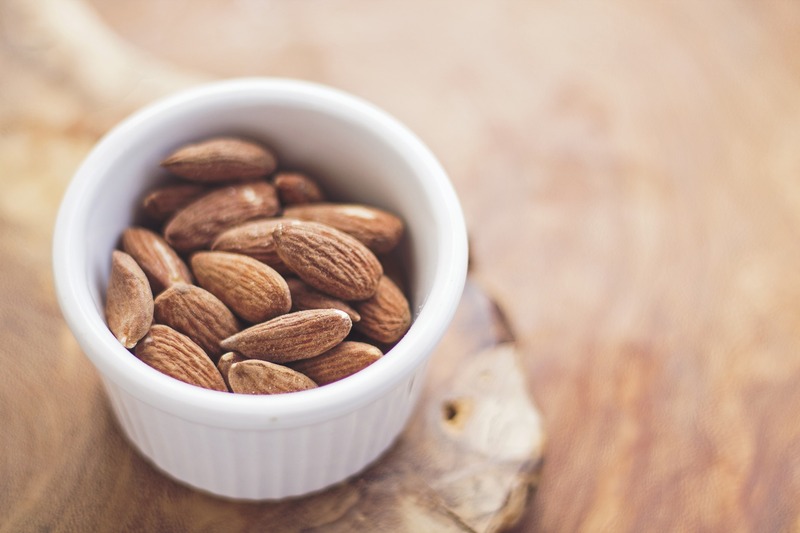 Almond oil can be added into oatmeal or smoothies to provide an energy boost. It also works well as an ingredient for salad dressing. Almond oil is a mild and hypoallergenic oil which is gentle enough to be used on baby skin. When rubbed into the skin, it is easily absorbed and does not leave behind a greasy feel. Almond oil works wonders to soothe dry and itchy skin caused by eczema and psoriasis, without further irritating the condition. Loaded with vitamin E, almond oil helps to delay the onset of wrinkles and fine lines. Regular use also helps to protect skin from damage caused by UV radiation. As such, it is commonly found in skincare products such as creams and lotions. Almond oil is also a common moisturizing ingredient in haircare products, as it contains nutrients such as fatty acids, magnesium, and vitamins A, B, D and E. Almond oil can be massaged directly onto the head to nourish the scalp, add shine to hair and repair split ends. Another popular use for almond oil is in massage and aromatherapy. A few tablespoons of heated almond oil massaged onto the affected area provides instant relief from muscle and joint pains. The light, sweet scent of almond oil is also calming and not overbearing. It is often used as a base for other essential oils. Raw almonds are easily available at most supermarkets in Singapore. Local vegetarian blogger Veggie Temptation has posted that raw almonds are retailing at Mustafa Shopping Centre at $18.80 per kg. They are also available at wholesalers such as Albert Centre Wholesale Market (Queen St) and Teck Sang (11 Hong Kong St). When purchasing almonds to extract oil, ensure that they are sweet almonds and not bitter almonds. Bitter almonds contain cyanide which may have severe or fatal effects when ingested. The type of almonds usually sold for human consumption are sweet almonds. The type of “almonds” sold in Chinese Medicine shops tend to be apricot kernels, and not true almonds. Similar to almonds, there are two types of apricot kernels available, sweet (南杏) and bitter (北杏). Bitter apricot kernels contain cyanide and may cause cyanide poisoning when taken in excess.